Montblanc pens are named after the highest mountains in the Alps and aim to attain the same heights in enabling quality and high-precision writing. The company has manufactured its high-quality pens since 1909 when it was founded in Germany. Wilhelm Dziambor, Christian Lausen and later Claus Johannes Voss had taken over a company from Alfred Nehemias, and August Eberstein in Hamburg in 1909. It used to manufacture simple pens. After the takeover, the company introduced its first model called ‘Rouge et Noir’in 1909 and later in 1910 it brought out ‘Meisterstück’ which gave the new name to the company. However, this pen name was first used in 1924. At present, the company makes other items besides pens a well and these include jewelry, leather goods, perfumes, watches, and eyewear, etc. In 1977, Dunhill acquired the company and after dropping the low priced pens and keeping the ‘luxury’ ones, it added other the other products described above to add to its luxury product line of pens. At present, it belongs to the Richemont group which also owns Chloé, Cartier, Baume et Mercier, Van Cleef & Arpels, etc. Check out our complete guide about the best waterman pens. Montblanc pen has a soul of its own. It is indeed a ‘masterpiece’ as symbolized by the name of its first pen. Montblanc pens are reflective of their owners’ sophistication, his radiant personality and the aesthetics which are indeed timeless. 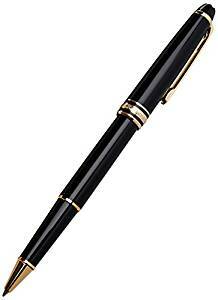 Armed with a Montblanc pen, the owner is like an officer at war fully dressed in his/her military uniform and at other times like a gentleman/lady amongst a crowd of people armed with ballpoint pens.As per Montblanc, when a user holds a Montblanc pen, emotion starts to flow. The ink flow in the pens is consistent and appears to be very pleasant. The pens are designed to lessen the fatigue on the user’s hands and make the writing experience as pleasurable as possible. Montblanc has pens within a price range which is affordable at the lower end and is premium at the other. The resin pens from Montblanc are at the low end as these are manufactured from black resin instead of steel and PVD coating. However, the way the pen has been designed, its build and its weight feel very pleasant to hold. These are ideal to be given to the near and the dear ones on birthdays. The Meisterstuck collection at a higher price level is ideal for aficionados. These fountain pens are available in Black resin as well. Those users who prefer a ballpoint to be used as a Stylus as well can go for the Screenwriter without the steel and the accented platinum. 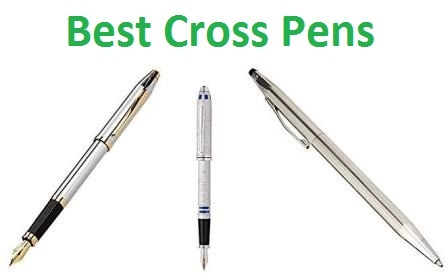 We have also written a complete guide about the best luxury pens. Montblanc pens exhibit many different writing modes which include Ballpoint Pen, Fineliner, Fountain Pen, Mechanical Pencil, Rollerball and the ScreenWriter. The Collections include Augmented Paper, Bohème, Bonheur, Desk Accessories, Donation Pen, Fine Stationery, Great Characters, Heritage Collection, Meisterstück, Meisterstück Solitaire, Montblanc M, Muses Edition, Patron of Art, PIX Collection, Sets, StarWalker, and the Writers Edition. The available colors are Black, Blue, Brown, Gold, Grey, Orange, Pink, Purple, Red, Silver,and White. The materials used in the Montblanc pens range from Carbon, and Lacquer to the Precious resin and Sterling Silver. Personalization is available as engraving on the cap, on the clip and on both the cap and the clip. The Meisterstück collection has been around since 1924. The Meisterstück 149 fountain pen has been the most popular Montblanc writing instrument during the lifetime of the company. The true soul of the Meisterstück comes from its nib and it is this simple tool that is instrumental in transforming the pen into a superb fashion. The nib is manufactured in 30 steps and is engraved with ‘4810’ representing the height of the Mont Blanc. The StarWalker collection is an epitome of the skilled craftsmanship possessed by the company in making the highly sophisticated writing instruments. This collection includes fountain pens, Rollerball pens, Screenwriters, ballpoint pens, and ,each of these have got a real fresh look. All of them have the Montblanc imprimatur. The Augmented Paper collection permits the user to easily write on traditional paper but the user can access the notes through his/her portable devices as well.This collection seamlessly incorporates traditional writing into the modern digital space. With a simple press of the button, the text written by the user gets converted to digital form on a portable device with the ‘Montblanc hub’ app. The Montblanc M collection is a rather new collection and is iconic in the sense that it represents Marc Newson’s design language in its distinctive and fine writing style.The fountain pens in this collection contain rhodium plated and hand-crafted Au585 / 14 K gold nib. The inlay is plated with ruthenium. The collection features fountain pens, ballpoint, artfinder, and the screenwriter pens. The PIX collection which is an inspiration of the Bauhaus architecture movement puts forth a pure design and is extremely simple to use. It has been named after the PIX trademark which has a historical significance.The Pix Collection features a unique balance between functionality and craftsmanship. It boasts a 3-ring design with Montblanc lettering on the cap ring of the collection. The Rollerball and Ballpoint pens are available in many colors. The Bonheur collection reminds one of the 1920’s due to its heritage from that time. It is a symbol of freedom and elegance. It denotes the freedom of women from the corsets and their movement into simpler yet luxurious apparel. The Bohème collection gives an exciting thrill to the user in penmanship and is a grand achievement for Montblanc.The Bonheur Collection can be a unique gift to a free-spirited woman. It represents the silhouette of a stylish woman. The Collection features fountain pens, rollerball pens,and ballpoint pens. The Muses Editions honors the muses of the 20th century with these awesome writing instruments.Montblanc muses include such famous and remarkable women as Marilyn Monroe, Ingrid Bergman, Princess Grace of Monaco, Greta Garbo, Marline Dietrich. The Marilyn Monroe Edition had been rendered in lipstick red (cap and barrel). Montblanc has honored the great writers whose literary works have become legendary with a collection known as the Writers Edition. They all had a story to tell and had led very meaningful lives.The Writers Limited Edition came out first in 1992. In 2016, Montblanc celebrated the 400th anniversary of William Shakespeare. In 2017, the collection celebrated the French aviator and writer Antoine Marie Jean-Baptiste Roger, the author of Night Flight and ‘A little Prince’. There are 2 versions of the Writers Edition. The Writers Edition Antoine de Saint-Exupéry Limited Edition 1931 is composed of 1931 pieces. The Great Characters Edition represents characters throughout the 20th century who had the nerve to be different, and who could break away from traditions and had the mental strength to alter the course of the human history.The pens in this collections are designed to reflect the great characters themselves. As an example, The Great Characters Miles Davis Limited Edition 90 is to honor Miles Davis, a jazz composer,and a musician. This pen feature has a very distinctive profile with trumpet valves placed on the pen clip. There is a cone which has been shaped like the ‘Heim’ mouthpiece, he used to use while playing. The Montblanc Heritage Collection represents stories of innovation. It uses a wealth of different materials to denote innovation.The ultra-limited edition high-jewelry Serpent is manufactured to pay tribute to the segment-clip designs that had been in vogue in the 1920s. The 130 gram Rouge & Noir Ultimate Serpent Limited Edition 1 has 99 grams of rose gold. The barrel and the cap have dark blue sapphires and 153 diamonds cut separately. The Fine Stationary collection is dedicated to the art of writing and developing instruments for it. It represents the pleasure of the various writing forms throughout the development of the writing instrument categories.This collection is dedicated to the writing culture. Both Montblanc signature and the tradition of excelling in quality are combined with the spirit of contemporary lifestyle. 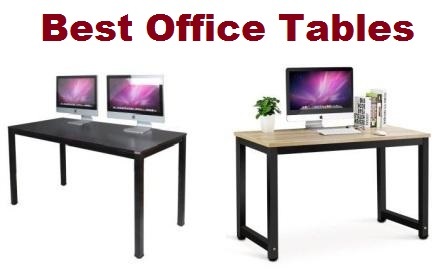 The Desk Accessories collection makes good use of Florentine leather expertise and helps to organize business work tools as per the user preferences.These consist of all accessories like Desk pad, Pen tray, etc. that support the writing process in style. The Donation Pens Collection is in honor of classic and contemporary music scene. 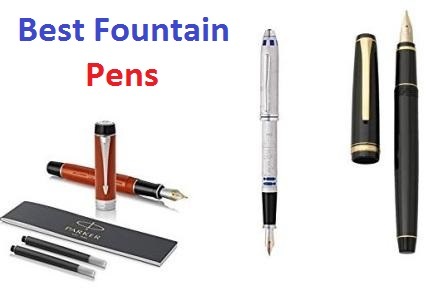 These are extremely elegant fountain pens, ballpoint pens as well as rollerball pens manufactured to become symbols of grace and style with fine attention to each detail. Purchasers who purchase these pens not only show that they appreciate music and elegant pens but also end up being supportive to the promotion of art and culture which results from the donation given by Montblanc in this regard from the revenue generated from this collection. The Patron of Art Collection was set up in 1992 along with the ‘Montblanc de la Culture Arts Patronage Award’ and consists of a limited Edition fountain pen. Every spring of the year, this collection becomes available and is limited to 4,810 pieces. This is the maximum height of Montblanc Limited Editions that are extremely precious are produced in quantities of 888 only. This is a Fountain pen from Montblanc which has a medium nib. The pen has been plated with platinum and its pen clip has been embossed with ‘Montblanc’ lettering. The pen uses a twist mechanism.The fountain pen has a ruthenium-plated 14k gold nib and all modes of the pen have a transparent precious resin cap top, The white Montblanc emblem is positioned in the center in such a way that it seems to float on the elegant body of the pen.It weighs 8 ounces and its dimensions are: 6.1 x 0.4 x 0.4 inches. The material used isa carbon fiber and the point type is medium. Montblanc pens are handmade and are crafted with high-quality craftsmanship. This craftsmanship is not just utilized for manufacture but for repairs as well. Montblanc Starwalker collection is a new generation of writing instruments. This is ideal for the aspiring writers who have taken up writing in the new generation. It symbolizes the creativity and the spirit of the elite writers of the future. This is represented by the dome made of acrylic with a floating snow cap. The barrel has been made of laser-engraved black lacquer. The Montblanc Starwalker Carbon fountain pen has an appearance which is both modern and elegant at the same time. The pen uses cartridges but no converter. All Montblanc pens are designed and manufactured in Germany and Montblanc is a leader in the world of luxury. Montblanc offers a 2-year product warranty. Warranty covers manufacturer’s defects. On warranty repairs, the turnaround time is 2-3 weeks. Old and replaced parts are not returned. For other repairs which are not covered by warranty, Boutiques offer repair services and if one is not found nearby by the user, the pen can be shipped to the Montblanc Technical Center. The time frame for repairs is 6-8 weeks. 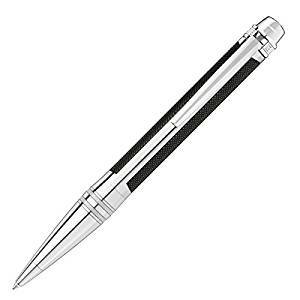 This is a Ballpoint pen and comprises a floating Montblanc emblem placed on the cap-top which is transparent. The fittings in this impressive and elegant pen have been plated with Ruthenium. The inlays are structured using Black precious resin. The clip is also plated with Ruthenium and it is embossed with the Montblanc brand name. This Ballpoint pen boasts a twist mechanism. The dimension of this pen is: 5.3 x 0.5 x 0.5 inches and the weight is 1.76 ounces. The Montblanc StarWalker Extreme Collection represents an evolution that has taken place in the product line of Montblanc. The silhouette is strong and bold while the Montblanc emblem serves tostrengthen the modernity touch in the overall appeal of the pen. The barrel of the pen has been manufactured out of black precious resin which has been embellished with structured inlays having been made through diamond-cut. The fittings, as well as the clip, are coated with ruthenium. The pen gives the feeling to the user that he/she holds a writing instrument which is both elegant and at the same time extremely modern as well. The Mont Blanc 111289 StarWalker Extreme Resin Ballpoint Pen is covered for damages to the pen due to faulty workmanship or material by a 2-year international warranty. In case, the pen becomes defective, it is repaired within 2-3 weeks under warranty. Repairs outside of the warranty period or when the warranty is not valid even during the warranty period due to the defects arising as a result of other reasons than the ones covered by the warranty then the repair of the pen would take 6-8 weeks. For repairs, the pen can be delivered to a Repair Boutique and if one is not available nearby, the pen can be shipped to any of the Technical centers for repairs via courier service. The pen has been manufactured in Germany using Black precious resin. It boasts elegantly designed and PVD coated fittings which have surfaces that are brushed. The emblem of Montblanc floats on the pen and the clip has been designed using a Red Stripe. The pen utilizes a twist mechanism. The pen weighs 4 ounces and its dimensions are7.8 x 3.2 x 1.1 inches.The refills available for this pen are in Mystery black, Bight Fire Red, Pacific Blue, Barbados Blue, Amethyst Purple and Fortune Green. The StarWalker Urban Speed is repetitive of a very uncommon and unique style dynamic enough to cause a stir. The unique combination of the PVD-coated fittings, Black precious resin, the brushed surfaces of the coating, as well as the typical design of the clip signifying its characteristic feel couple with the impressive Montblanc emblem all together provide an extremely modern outlook to this pen from the Montblanc StarWalker collection. The energy and vitality packed in a fast-paced and busy urban lifestyle and brimming with modernity are all quite evident in the design of this elegant and modern pen.The finish is literally impeccable. The writing experience as expected from Montblanc is totally refined and almost perfect. The Repair Boutiques are available in major cities and any requirement for servicing of the pen can be fulfilled there. There are Technical centers as well and if the repair boutique cannot be found nearby the location of the user, the pen can be couriered to the nearby Technical center. Out of warranty repair would take a maximum of 6-8 weeks. Warranty repairs which are valid for those pens that are covered by the limited warranty are made within a period of 2-3 weeks. The warranty for the Montblanc StarWalker Urban Speed Ballpoint Pen is an international warranty valid for 2 years after the date of purchase. However, only defects arising out of workmanship and material issues are covered. The gold-coated version of this Meisterstück Classique pen has gold coated details on top of the deep black precious resin. The distinctive design icon is made evident by the white star emblem. It uses the Rollerball technology with the refills being made available in Amethyst Purple, Mystery Black, Fortune Green, Nightfire Red, Barbados Blue and in Pacific Blue. As Montblanc name guarantees the finest possible quality in the writing instruments, and it has been so for over 100 years, the mark of quality of this pen is a fact of life and it clearly shows in the design and in its feel when it is held in the hand of the user to reflect his/her ideas on paper. The warranty provided by Montblanc to the purchasers of this pen is a 2-year international warranty which is a limited warranty. It covers the defects that the [pen night have due to workmanship or material. Other reasons for defects that are outside of this limited warranty are not covered. The warranty repairs are done within 2 to 3 weeks however, out-of-warranty repairs require at least 6 to 8 weeks. The Repair Boutiques in large cities provide repair services and if one cannot be located nearby the user, the pen can be couriered to the Montblanc Technical centers. The technical centers would repair the pens and ship them back to the user in within the periods specified above for warranty or non-warranty repairs. This Montblanc Heritage Collection Rouge et Noir Special Edition Ballpoint Pen 114724 has a Twist mechanism and it is an extremely slim and long pen. This is indeed a unique design amongst the Montblanc pens.The pen has been exquisitely crafted in black precious lacquer. The clip is coated with rhodium and boasts a unique serpent design. The iconic Montblanc Star Logo is also featured on this pen quite prominently on the top of the pen which has been artistically crafted in red coral. The refills that are compatible to this pen but are not included in it and have to be purchased separately are Pacific Blue, Barbados Blue, Mystery Black, NightFire Red, Amethyst purple, Fortune Green, and India Orange. The very first time this pen was developed was in 1906 when the first ‘Rouge et Noir’ fountain pen had been launched. At that time, it was indeed a remarkable invention and development in the art of manufacturing of the writing instruments. IT featured a very simple operation and there was no need to dip the nib in the ink again and again during the writing process. It is this heritage which the Heritage Collection Rouge et Noir aims to celebrate as well as the 112 years of the Montblanc spirit of creativity and innovation. The styling of this pen reinvigorates the long, slim silhouette as well as the skilled craftsmanship which gave rise to the first generation of these pens and has evolved for over a century now with the generations that followed. The Snake Clip has a unique vintage look and the fittings are matching with this look. A special alloy metal is used to make the clip after a winding and stamping process. Galvanizing and Striping are utilized to give the final finish to this exquisite pen. Montblanc offers a 2-year standard international warranty for defects due to workmanship and materials. Warranty repairs are completed in 2-3 weeks while non-warranty repairs could take up to 6 to 8 weeks. Repair Boutiques and Technical centers offer these repair services. The Mont Blanc Meisterstuck Le Grand Ballpoint Pen, 10456 pen features an exquisite gold-plated clip on which an individualized serial number is also written. The Monacan emblem is positioned on the pen which is manufactured out of black precious resin. There are 3 gold-plated rings which have been embossed with the Montblanc brand name. The Mont Blanc Meisterstuck Le Grand Ballpoint Pen, 10456 uses the ballpoint technology from Montblanc and comes with a twist mechanism. The barrel, as well as the cap, are manufactured with black precious resin. The box containing the pen contains a booklet as well as an ink cartridge.The pen weighs 1 pound and its dimensions are 6 x 1 x 1 inches. Refills are available separately and need to be purchased and these areAmethyst Purple, Nightfire Red, Mystery Black, Pacific Blue, Barbados Blue, and Fortune Green. After its introduction in 1924, the Montblanc Meisterstück was very much a representative of the Hamburg based brand. The new one is also extremely elegant and this is indeed the pen that leaps into people’s minds when they think of a Montblanc pen with an elegantly placed crown on a monochrome body of the pen. Meisterstück which is German for a masterpiece and as per the CEO of Montblanc International, Jérôme Lambert,and the Meisterstück pen has the shiny polished resin design feature which makes it easily recognizable by people who know the Montblanc brand. The Mont Blanc Meisterstuck Le Grand Ballpoint Pen, 10456 is covered by a limited warranty that is available internationally for a 2-year period starting from the date of purchase of the pen. The pens are covered by a limited warranty which allows for repairs to defects due to workmanship or materials,however, other defects would not be covered by this limited warranty. When a pen is repaired under warranty, it is returned to the user within 2-3 weeks while a non-warranty repair could take as much as 6-8 weeks. The Repair Boutiques belonging to Montblanc as well as its Technical centers provide the repair services both under warranty and otherwise. This Montblanc StarWalker Extreme Steel Ballpoint Pen is from the StarWalker Collection and it has been hand-crafted in Germany from high-grade stainless steel. The inlays are made from anthracite and the clip used in this pen has been plated with platinum. To add to the beauty of this magnificent pen and to give it its unique identity, the iconic Montblanc emblem floats on the cap of the pen. The writing system utilized by this writing instrument from Montblanc is the twist mechanism and the refills are available but not included in colors such as Pacific Blue, Barbados Blue, Mystery Black, NightFire Red, Amethyst Purple, India Orange and Fortune Green. These are required to be purchased separately. The pen weighs 11.2 ounces and the dimensions of this product are 6 x 4 x 4 inches. The StarWalker Extreme Collection is an evolutionary collection within the existing Montblanc StarWalker product line. The strong and bold silhouette which is furtherstrengthened by the Montblanc emblem floating on the pen. This conveys to the user and the people who look at the pen a strong semblance of modernity. The stainless steel barrel has a PVD coating on the inlays. Both the fittings as well as the clip are coated with platinum. The pen majestically creates an aura of extreme finesse and modernity at the same time around the user and is compatible with the modern lifestyle. The Montblanc StarWalker Extreme Steel Ballpoint Pen 111039 is warranted for defects due to workmanship and materials by Montblanc for a period of 2 years. This limited warranty is applicable globally. The warranty repairs take 2-3 weeks. Boutique Repair centers, as well as Technical centers of Montblanc, offer the repair services for non-warranty pens as well. These are repaired and returned to the customer after 6-8 weeks. The defective pens can either be handed over to the Repair Boutiques or they can be couriered to the Technical centers. The Montblanc Pix Collection Ballpoint Pen Blue 114810 is a PIX collection Ballpoint pen. The barrel, as well as the cap of the ballpoint pen, are made out of the blue precious resin. This resin is then coated with platinum. The pen weighs 6.4 ounces and the dimensions of this product are 0.4 x 5.5 x 0.4 inches.The pens are designed to be functional yet have a touch of elegance and are extremely impressive when it comes to the ease of writing. Montblanc’s 100 plus years of writing experience is reflected in the making of the pen’s body and in its styling and design. The PIX Collection has been inspired by the Bauhaus architecture movement and the naming of the pen was done after the historical PIX trademark. The pristine design of this writing instrument conveys the extreme simplicity of use to the intending purchaser. 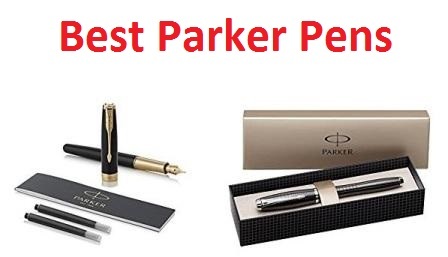 With its immaculate writing style as well as ease of writing, the pen is equally good for writing or signaling business contracts or writing complimentary notes on gift cards or gift envelopes. Many students use it to write in their university exams or to take short notes as reminders. It has a high value for enthusiasts who love this pen for the writing pleasure it provides to them. 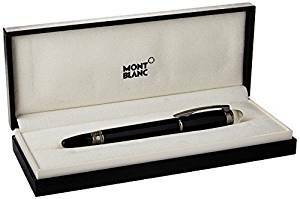 Years of Montblanc’s expertise has brought this immaculate pen to enthusiasts who would like to avail this expertise in the ballpoint technology as well. 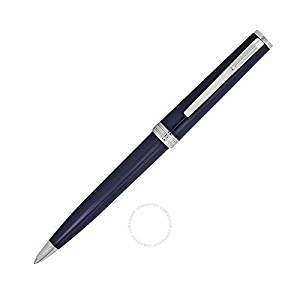 Montblanc provides a standard 2-year international warranty for the Montblanc Pix Collection Ballpoint Pen Blue 114810. The limited warranty covers both the defects due to workmanship as well as the defects due to the materials. The warranty covered pens are repaired within 2-3 weeks. Montblanc services the pens and returns to them to the customer after cleaning and polishing them as well. The non-warranty pens are either submitted to the Repair Boutiques or are sent via courier to the Technical centers. These are returned to the customer within 6-8 weeks. The Mont Blanc Meisterstuck Le Grand Platinum Ballpoint Pen, 7569 comes with an individualized serial number for every user. IT has a clip which is platinum plated and the pen has been manufactured in Germany from Black precious resin. The resin is further inlaid with an emblem of Montblanc to give the pen its unique identity. 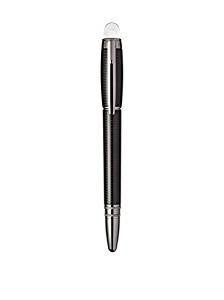 There are 3 rings in this pen and these are plated with platinum and are embossed with the Montblanc brand name. The pen weighs 4 ounces and its dimensions are 1 x 1 x 1 inches. True to its collection ofMeisterstuck or the Masterpiece series from Montblanc, the pen is designed with the aesthetics associated with this immaculate series that has evolved since 1924 and has been recognized as the most classical and impressive of the Montblanc collections reflecting the originality of the pen’s design. The refills which are sold separately and not included in the package areMystery Black, Pacific Blue, Barbados Blue, Fortune Green, Nightfire Red, and Amethyst Purple. The pen has evolved into a perfect design icon. The individualized serial number, as well as the design of the pen, portray a timelessness unique to the Meisterstück collection. The user can reflect his/her own personality by getting Montblanc to engrave their initials or even names on the right side or directly on the clip which is coated with platinum contributing to the elegance and the identification of the pen. In the modern times, individuality has become very strong and pervasive and thus, this pen caters to the innatedesire of the people in these modern times. The Mont Blanc Meisterstuck Le Grand Platinum Ballpoint Pen is warranted for 2-years. This is an international limited warranty which enables repairs without charge for defects arising out of workmanship or materials. All warranty pens after repairs are given back to the customer within 2-3 weeks while non-warranty repairs could take as long as 6-8 weeks. For non-warranty repairs, the Repair Boutiques can take the pen for repairs or the defective pens can be couriered to the Montblanc Technical centers. This genuine Montblanc StarWalker Midnight Black Fineliner ha a floating star on top of the cap in the pen. The pen has the ability to interchange with a rollerball refill and thus offers the varied type of usage to its user. The pen has been crafted in Germany. The refills of this Fineliner pens are available in black and blue. The other interchangeable refills from Montblanc rollerball series having stainless steel tip are available in green, red, and blue and black. Gift wrapping and handwritten tags may also be provided. The pen is an excellent choice for corporate gifts. The StarWalker Midnight Black Fineliner is reflective of a very unique and highly dynamic styling and finesse. Detailing as emphasized with ruthenium-coating on the Black precious resin, the design of the clip is characteristically different from others and it has the floating Montblanc emblem. This perfect combination symbolizes the 100 plus years of Montblanc values and applies a modern touch to these in a timeless fashion. The pen represents the past, present and propels the user into the world of tomorrow with imaginative finesse.This pen features a twist mechanism for writing and is extremely appealing to the younger generation. Any enthusiast who wants to rise above the ordinary and is looking for a touch of finesse and styling would find this open irresistible. The StarWalker midnight black ballpoint pen is offered in its own presentation box. The StarWalker midnight black ballpoint pen is warranted for a period of 2 years by Montblanc with an international limited warranty. 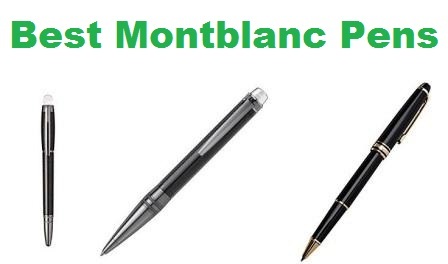 The defective pen is repaired by Montblanc within a period of 2-3 weeks and returned to the customer. The warranty covers defects due to workmanship or materials. All other defects are not covered. The non-warranty repairs are done through the repair Boutiques or Montblanc Technical centers which take 6-8 weeks to complete the non-warranty repairs. The pens are repaired, cleaned and polished and are returned to the customer after the repair period.